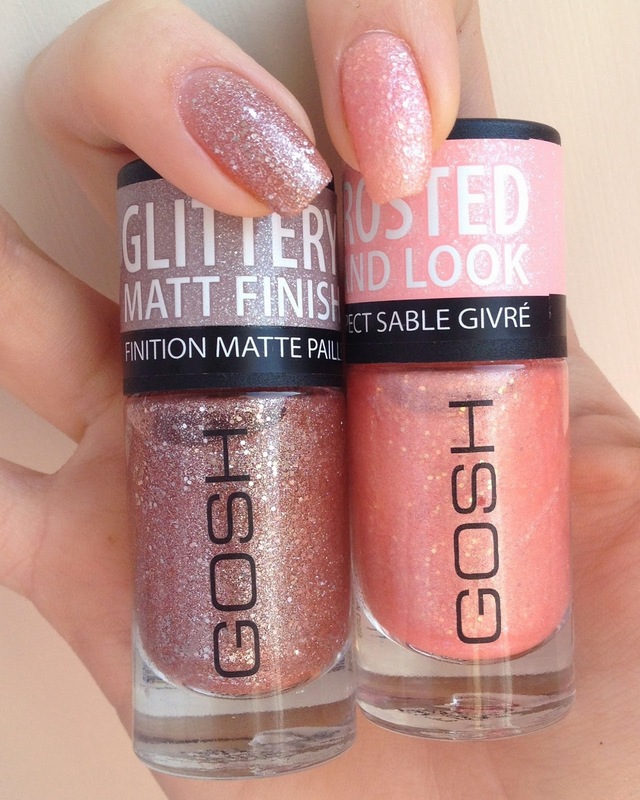 I have to admit, GOSH is one brand I forget to check out when looking for a nail polish, I'm not sure why, I suppose I'm always heading straight for Barry M, Models Own or Rimmel, their bright colours just stand out to me. 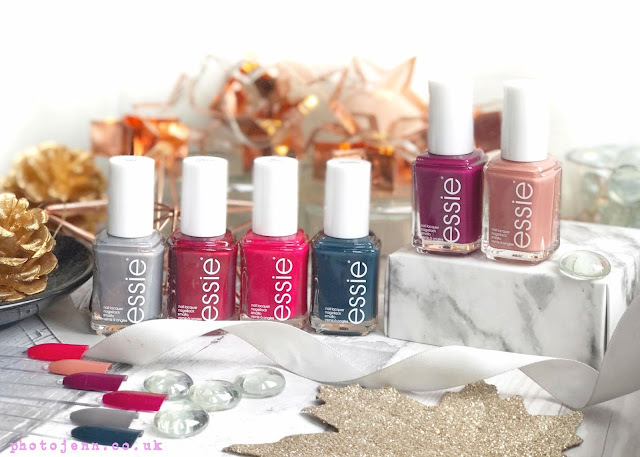 GOSH's nail polishes have always kind of gone under the radar for me and I don't often see much about them in the blogosphere (not a fan of that word -not sure how else to put it though!). 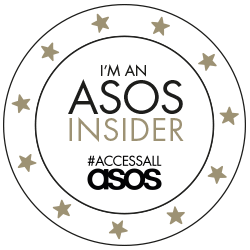 But at the GOSH Spring/Summer event I received these two little lovelies in my gift box and I'm very impressed! 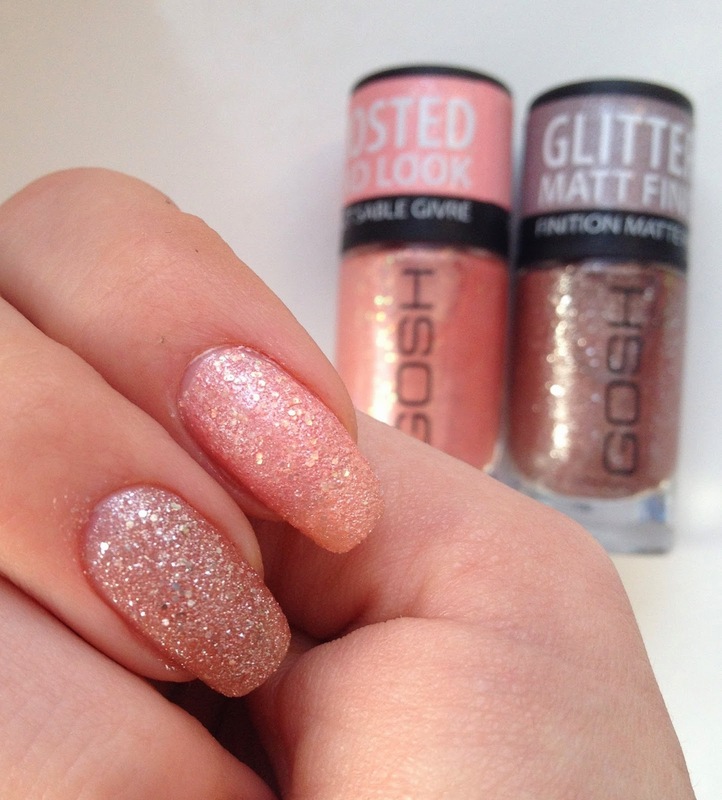 The Frosted Nail Lacquers are quite similar to the Barry M Textured Nail Paints, a textured glitter with a matt finish to them. They are extremely pigmented and only need one coat to cover the nail perfectly. You don't need to apply any sort of colour underneath, they do just fine on their own. They basically look like a glittery sand! The rose gold shade '05 Frosted Rose' is beautiful and I can see it being used all year round, for adding some sparkle to a sunkissed look right through to the Christmas party season. I love rose gold at the moment so this is already a big favourite of mine and I've got a few designs planned using this beauty! 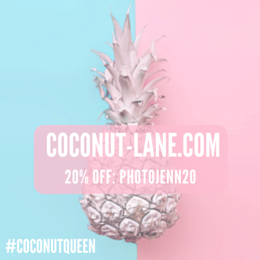 '07 Frosted Soft Coral' is a peachy-coral glitter. 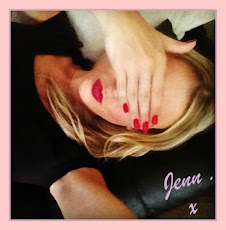 It's a little more subtle but still a great shade to add something a special to a girly look. The flecks of glitter really catch the light and I think this would look great as an accent nail alongside a pastel shade. They are £3.99 which is a great price and they currently have a buy one get 2nd half price offer on too -BARGAIN! BY THEM ALL! 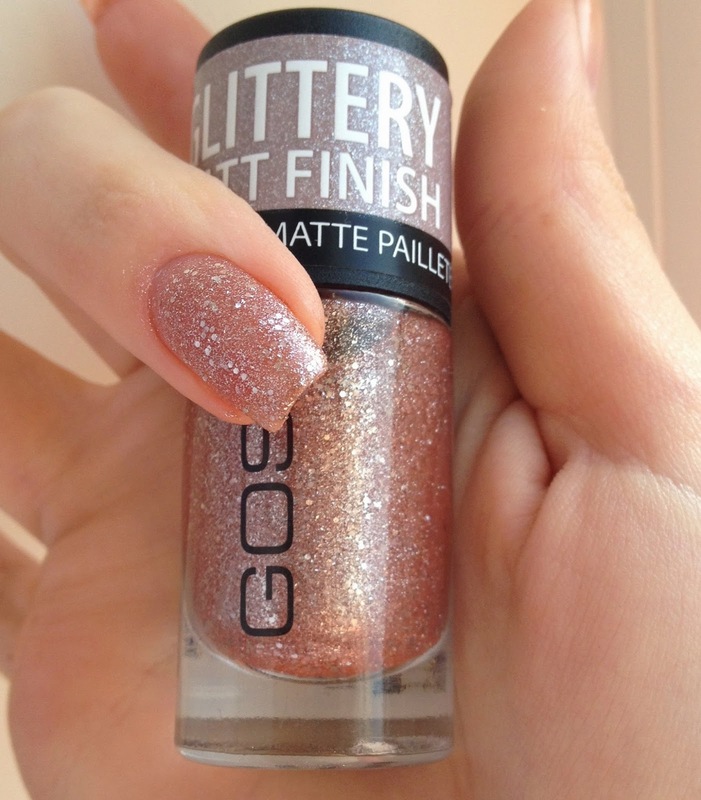 GOSH will be releasing 3 more shades in April for Superdrug's 50th anniversary so keep a look out for those. There's a lovely pale blue which I already have my eye on! I will remember to check out the GOSH stand when I'm looking for a new nail colour in the future as these are really great value for money. 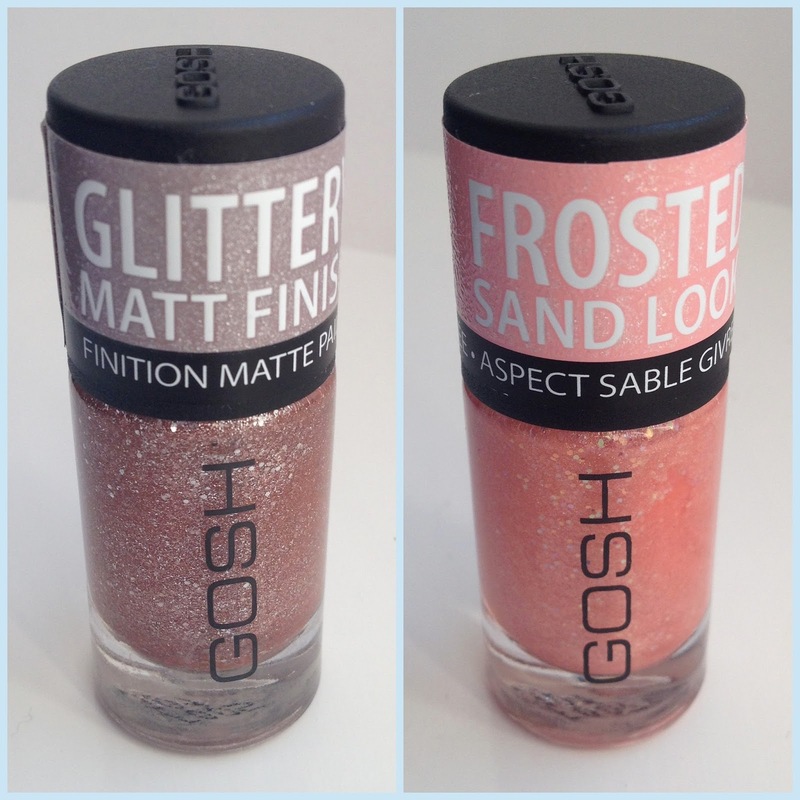 Have you tried GOSH nail polishes before? Oh I haven't tried the plum one! Sounds great! I've never tried those! I love them. They are so pretty and not too over the top. I love your nails too. These look nice! I usually reserve glitter polishes to do nail designs since it is so difficult to remove from nails! These ones remove quite well actually as they aren't big chunks of glitter. I usually hate it too! Wow! These look absolutely beautiful! :) I'm a big fan of GOSH nail polishes so I can't wait to try these out soon. Thanks, I'm so impressed by these. I'm not a massive fan of glitter either but these are a bit more subtle.